This netletter was produced by Youlia Lima – a student from Griffith University. Thank you Youlia! 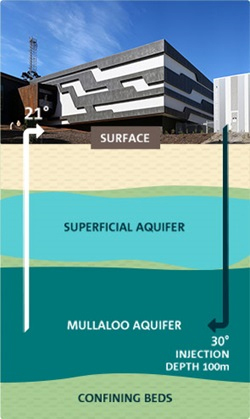 The “Groundwater cooling project” by CSIRO consists of cooling computers using a geothermal solution called groundwater cooling. The process of cooling happens as follows: water from shallow aquifers are pushed out to cool the supercomputers and then reintroduced to the aquifer again (see picture). 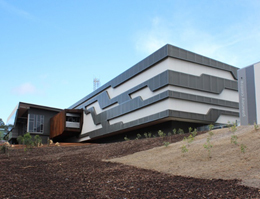 The project is running at the Pawsey Centre supercomputer in Perth. It estimates to save 14.5 million litres of water in the first two years in comparison to conventional cooling methods. 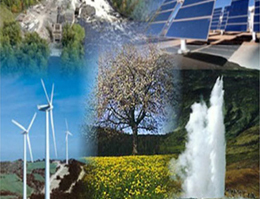 The technology could possibly be used in other businesses to reduce environmental impacts worldwide. 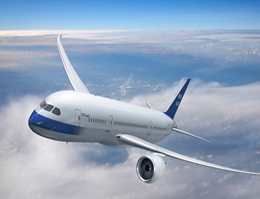 Aviation is responsible for 2% of the total greenhouse emissions of the world. As it still uses fossil fuels, there is the need for sustainable jet fuels. 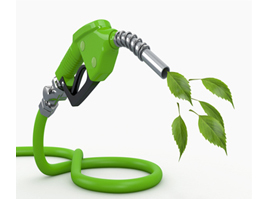 This type of fuel is derived from biomass (organic material) and its use can significantly reduce carbon emissions. There is a study for the implementation of sustainable fuel in Australian and New Zealand planes. The study shows that in the next twenty years, this could reduce emissions by 17%, create over 12,000 jobs and diminish fuel import costs by AU$ 2 billion per year. Solar cooling is the process of using sun’s heat to supply cooling/heating for buildings in general. It can also be used for refrigeration purposes. 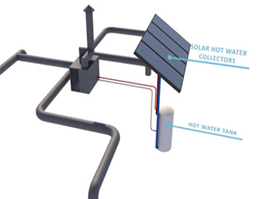 Solar cooling systems are made of solar panels (heat collectors) and absorption cooling machines (transforms heat into cooling) (see image below). Solar cooling is of extreme relevance if zero emissions buildings are considered in the future as it displaces electricity that comes from fossil fuels and reduces peak demand on the electricity grid. In 2008, the idea of the Samford Solar Neighbourhood was born. Run by Samford Green Street and the Pine Rivers Climate Action Network, the project consisted of the bulk purchase of solar panels by households to mitigate climate change and reduce electricity costs. 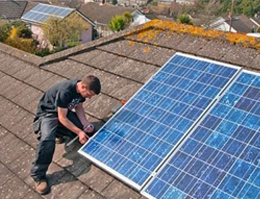 The project, one of the first of its kind, enabled people to be part of a bulk-buy of solar panels in the Samford Valley postcode. 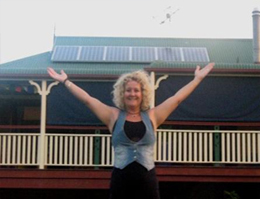 Samford resident Ady Hopkins in front of her solar panelled house. The program has about 200 households whereby the costs of purchasing 1kw solar systems was $500. 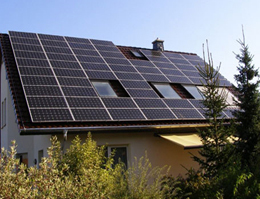 It contributed to an increase of around 50% in solar households in Queensland in 2008. Consequently, Samford is now one of the leaders in using solar energy in Australia. Energy security is an issue of concern in Australia. 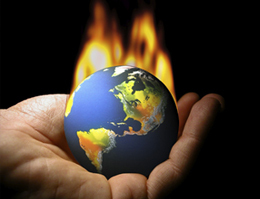 The current system of energy supply and use is unsustainable. This is a threat to the living standards of people as energy is needed for vital services such as electricity, cooking and heating/cooling. Following the Samford Solar Neighbourhood project has come Samford Power – a renewable energy project in the making. Community owned power together with renewable energies is a good alternative to address the energy security issue. Based on this, The Samford RE project was created out of the Samford Futures process (www.samfordfutures.org) as part of the Samford Commons precinct (www.samfordcommons.org.au). It intends to assure energy security for the Samford community through using sustainable energy consumption and production patterns. Quezada, G. (2014). Samford Power – developing a community owned local energy services enterprise.